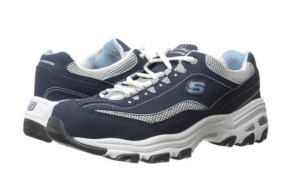 The SKECHERS D'Lites series are women's sleek and sporty style sneakers. 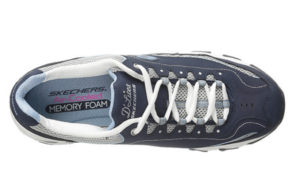 It is built with great cushioning, good arch support and shock absorption. They are stylish and practical for walking, running or training in gym or on trails. These women's D'Lites offer a wide range of colors and materials from mesh, knit fabric, suede, nubuck, and leather uppers. The colors com in fresh summer white, blue, pink to black with shiny or glittering effects. 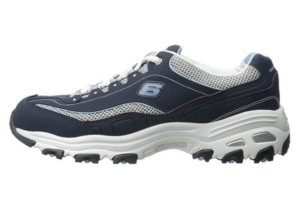 Well-cushioned insoles and padded collar and tongue. Users with foot issues find the shoe supportive and comfy. A user found the shoe great for feet after long day of bartending. 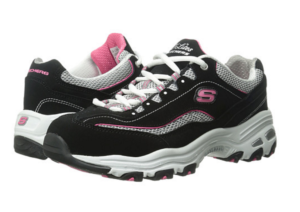 It is well cushioned with good arch support and traction. 1 1/4-inch heel looks sporty and adds height. Good for gym, strength training. 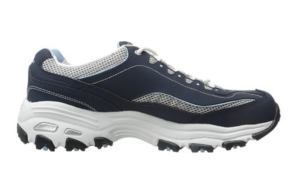 Good for running and walking on pavement or trails. A user finds the shoe’s footbed too flat. A user found her the thread of the shoe peeled off in a week. The D’Lites has shared highly positive feedbacks from its users, including those with different sorts of foot problems. It helps them walk around for long hours more comfortably while supporting the feet and ankles and helping hips and back stay in good positions. User are grateful to find such a shoe that make them happy, and wear them everywhere. The sneaker has saved many feet, as many wearers have shared their opinions. Some users with plantar’s fasciitis, peroneal tendonitis or posterior tibial tendon dysfunction, tried the shoe and it works out quite well for them too. A user finds the shoe has saved her feet after she started wearing the shoe at work, where she constantly walk on concrete floor for more than 10 hours at a time. A few wearers also particularly appreciate the design of the arch support as it is in the right place with right amount of support. Some users use their D’Lites when traveling. They are great and comfy right out of the box. The shoe also has great traction in snow or rain too! They are certainly great walking shoes, but when it comes to running, some find it does not work too smoothly with the chunky soles. The sole also tends to wear out a bit quickly than average. However, with the tread getting thin, the shoe is still comfy with the help of a sockliner. The series of D’Lites includes various types such as Ultra, Made to shine, Looking Glass, or Air, etc, with changes in materials, color effects or comfort features. It is certainly a wide range of selections. It is very handy as you will know where to look for another pair if your get along with the shoe well. The shoe is good for wide feet, and generally true to size. The shoe may feel a bit firm with its thick sole in the beginning; it will loosen up very quickly. The shoe-lacing sneakers include a wide range of materials, such as leather, soft suede, mesh or flat knit fabric. For example, the D’Lites Air and D’Lites Ultra come with flat knit uppers; the D’Lite-Be Dazzling comes with soft suede upper with matte and shiny overlays. 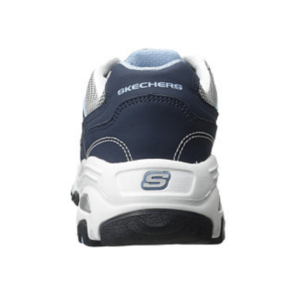 The sneakers are equipped with Air Cooled Memory Foam cushioned insoles and lightweight shock absorbing supportive midsole. 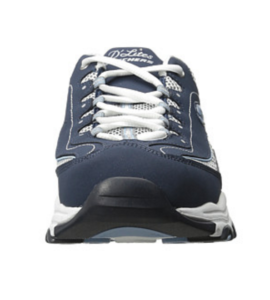 These can secure the feet with support and cushioning for long hours of comfort. 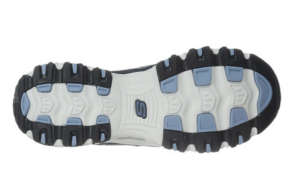 The shoe’s flexible rubber traction outsole provides good grip when it is wet or snowy. © 2019 - Sneaker Reviews - PairsGuide. All rights reserved. Powered by WordPress.